Twenty projects which encourage the development of digital skills in Europe have been selected as finalists for the European Digital Skills Award 2017. The best projects promoting excellence in Digital Skills will be awarded by Mariya Gabriel, European Commissioner for Digital Economy and Society, at the Digital Skills and Jobs Coalition conference in Brussels on 7th December. Winners and finalists will exhibit their projects at the conference. Digital Skills for women and girls – attracting women and girls to learn digital competences for life and work. This is the second Digital Skills competition. The 20 finalists were selected by the European Commission and the Digital Skills and Jobs Coalition secretariat. They assessed the impact made by the project, the synergies between the different stakeholders involved, the scalability and replicability of the initiative as well as the effectiveness of the project. An independent jury composed of members of the Digital Skills and Jobs Coalition Governing Board – Alessandro Bogliolo, Professor University of Urbino, Coordinator of EU Code Week; Oliver Gruen, President of the European Digital SME Alliance; Ilona Kish, Director of Public Libraries 2020 Europe; Cheryl Miller, Founder and Executive Director of the Digital Leadership Institute; Bernd Welz, Executive Vice President and Chief Knowledge Officer of SAP SE – chose the five winners. Cibervoluntarios Foundation is a grassroot organisation that engages 1,500 volunteers around Spain. The volunteers detect digital skills needs, organise workshops and train citizens in digital competences. They run programmes targeting the elderly, people with disabilities, women entrepreneurs and primary and secondary students, educators and parents through workshop in cyberbullying and cybersecurity. Digitaal.Talent@Gent is the e-inclusion programme of the City of Ghent, the Public Centre for Social Welfare Ghent and Digipolis Ghent, which aims to give all citizens the opportunity to develop digital skills. Digitaal.Talent@Gent reaches over 20,000 citizens a year in actions such as: the Digital lending service, where organisations and schools can borrow free hardware; a coding summer camp for underprivileged children and teens; a programme for people with intellectual disabilities who learn how to work with computers, ICT and deal with social media; an initiative where vulnerable families are introduced to educational games to support the transition of their children to primary school; a public library with digi-cafés for digital starters, digi-tastings where participants gain insight into digital themes such as social media, the cloud and the internet. The Grande école du numérique, which was created in 2015, is a network of more than 400 accredited training programmes open to everyone. The aim of the initiative is to meet the growing demand for digital skills on the labour market as well as to promote the inclusion of those who are excluded from employment and/or training. To involve those who are unable to attend classroom-training programmes e.g. stay-at-home parents, disabled people and people from rural areas the initiative also encourages participants to take online training programmes. Roughly 10,000 people will have completed a Grande école numérique programme by the end of 2017, out of which around 20% are women. 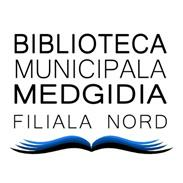 The northern branch of Medgidia municipal library and the non-governmental organisation BiblioVoluntarii run several programmes to increase the digital literacy of people with disadvantaged backgrounds in the region. The digital skills initiative include: projects that offers jobseekers the opportunity to integrate and reintegrate into the labour market by acquiring new skills and abilities; Juniors learning basic computer skills; Youth, adults and seniors learning to access the internet, use of modern devices and make electronic transactions; female oncology patients wholearn, among other things, how to use computers, tablets and smartphone and navigate the internet. Fit4coding is a coding school run by a public-private partnership between NumericALL and the Ministry of Labour and Employment of Luxembourg. The programme aims to improve the digital skills of the country's workforce, while providing opportunities for young adults who have not gone through formal superior education. The duration of the programme is two years and aims to train 90 people by the end of 2017, in six cycles. The result of the first four cycles show that 80% of the students have found a job in development related positions in less than six months after the training. IT in Bank is an initiative run by Software Development Academy partnering with a bank. The focus is on reskilling and upskilling workers and jobseekers offering them a chance to change their career paths. The financial partner covers 60% of the course fee to make it affordable and generates hundreds of applications per edition. The courses take place in the evening to make it possible for students to keep their regular job during the training. The objective is to scale up the idea of companies taking responsibility to train more IT staff. Once the course is completed the company chooses some participants and offers a 1-year hire guarantee. The group from the first edition "IT na Bank" is already working as Java programmers. The project “SMEs trainings for digital technologies and innovation development in Latvia” is implemented by Latvian Information and Communication Technology Association (LIKTA) in cooperation with the Latvian Central Finance and Contracting Agency and the Ministry of Economy of Latvia. The project aims to provide digital skills trainings to more than 7,000 managers and employees of small and medium enterprises (SMEs) in Latvia, as well as well individual entrepreneurs. The aim is to have a higher productivity and competitiveness in the SME sector and contribute to the goals of the Digital Single Market in Latvia. The project started in December 2016 and by the end of October 2017 over 400 companies had been already involved in the project, with more than 900 trainings organised. Successful digital communication from farmers to consumers and citizens is a programme developed and let by Southern Agricultural and Horticulture Organization (ZLTO). The target group is agricultural entrepreneurs – mostly young farmers, farming women and farmer wives. The purpose of the initiatives is to train farmers with a package of education and tools, that they can use to attract customers for their products and establish good relations with citizens. For example social media training, digital platform ‘Dichterbij de boerderij’ and CAPSELLA tool virtual exhibition. The programme started in January 2016 and has involved so far around 200 farms. 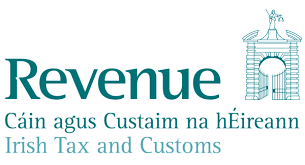 Continuous Professional Development for ICT&L is a framework which was designed in 2016 to be implemented for 450 staff within the Information and Communication Technology and Logistics Division of the Revenue Commissioners in Ireland. The goal is to help increase the skill level of staff members while also reducing the need for external resources by training internal staff to perform the roles currently occupied by them. So far 5% of external staff have been replaced by internal staff operating at a higher level and 18% have been promoted. The Developer Scholarships Challenge Developer Scholarships Challenge is an initiative by Google, Bertelsmann and Udacity, to help close the ICT specialist skills gap in Europe and offer opportunities to everyone to change career or get access to the skills needed to be part of the new digital economy. During the course, each student is paired with a mentor to guide and support them through the coursework and app challenges. Out of 11,250 students enrolled in the Beginners Course, 6,405 completed it giving a 57% graduation rate. 12% of the Beginners said that they found a job / started app-based business / started freelancing. One of the goals of this scholarship programme is to help promote diversity in the field of technology. Innovation Camp is a cooperation between Samsung, Randstand and Università Cattolica. Innovation Camp aims to help students get a better insight of the economic market and universities to understand the increasing need to merge theoretical classes with practical applications and the analysis of the many declinations of digital opportunities in industry. Innovation Camp is completely free and it is made of two core elements: an online dashboard with a modular-based course, inspirational contents, digital tools, a testing system and a 23 hours interactive live session for the most accomplished students. Students receive academic credits,the title of Innovation Designer, a high education certificate, and three internships are given to the best of them. The MSc and Graduate Diploma in Digital Curation provides training in technical subjects related to digital curation. Potential students include individuals already working in cultural institutions and businesses in the public and private sector, librarians who wish to upskill, health care professionals, and others tasked with managing digital data. The programme has already raised the profile of digital curation and data management. Students are regularly encouraged to present their work at conferences and attend conferences and symposia to develop a professional network. Coding Class is a project in which the Danish IT Industry Association, six municipalities, the Ministry of Education, and the non-governmental organisation Coding Pirates work together to introduce computational thinking into primary schools and teacher university colleges in Denmark. The project provides classes with a Coding class instructor, who teaches the children computational thinking in close collaboration with the teacherin the first year. During the process, the children develop and code a project, which is presented to a company. The aim is to enable schools and municipalities to carry out the classes themselves as of year two.The student teachers also get a full curriculum including computational thinking and in different coding tools. Digital Schools of Distinction programme is a self-evaluation and award system for Irish primary schools, coordinated by the Dublin West Education Centre. The programme aims to promote, recognise and encourage excellence in the use of technology in Irish primary schools. The schools self-evaluate according to five main headings: Leadership and vision; ICT integration in the curriculum; School ICT culture, Continuing Professional Development; Resources and infrastructure. The schools are examined by a validator and successful schools will receive the Digital School of Distinction award. The programme is a public-private partnership involving the Irish National Teachers Organisation, the Irish Primary Principals Network, the Computer Education Society of Ireland, the Professional Development Service for Teachers, the Department of Education & Skills, Hewlett Packard Ireland and Microsoft Ireland. #FlashTweetEdu is a media and information literacy project that uses the online publishing tool #FlashTweet born on Twitter at the Montrésor highschool in France. Since two years 10th graders have used #FlashTweet to discover digital writing and its constraints. In the project students find relevant information on Twitter, write, edit and manage texts as well as disseminate information to their followers. This project succeeds to train future high school students in media and information literacy . Opening Opportunities is a mentor-lead programme, in which IT professionals mentor teams of high school students who discover computer science, product development and team work in poor regions in Romania. The project includes training for mentors as well as students and showcasing technology in public spaces such as libraries. At the end of the mentoring period, seven teams are selected by a jury and the finalists pitch their computer science projects in Bucharest. The project is run by Asociatia Techsoup with the support of Microsoft YouthSpark and in partnership with Microsoft Romania and the National Association of Librarians and Public Libraries. The Digital Academy is a project run by non-governmental organisation Czechitas that educates and inspires women and girls to pursue opportunities in tech and computing fields such as programming, web development, graphic design, digital marketing and data analytics, IT security. Digital Academy is a requalification course and a mentoring programme for 30 future data analysts (20% of mothers after maternity leave, 20% of fresh university graduates) with no requirements on previous experience/knowledge. The goal is to find jobs for the participants in cooperation with local companies. IT for SHE is a programme which aims to increase the participation of women in the high tech industry, by helping talented female students from IT faculties to enter the labour market. There are three main actions of the programme. The first is the Women in Tech Camp where the 130 best IT female students in Poland take part in a hackathon, workshops and mentoring. The second action is the Kids in IT, where 50 volunteer female students from IT departments teach 1,000 kids in rural areas basic coding, how to usie 3D printers, Arduino programming and robot building. The third element is the Mentoring Program for female IT students, which is run by representatives of technology companies in Poland. The selected women get to work with mentors for six months on their professional and personal development. Maker Woman is project carried out by Robisz in cooperation with the Orange Foundation. The goal of Project Maker Woman is to prevent social and technological exclusion of women by educating them. The target group of the project are women who just began their career and those who are coming back to work after maternity leave. During three months the women in the programme learn the basics of design, prototyping and preparation of files for 3D printing or CNC. They gain knowledge of setting up programmable controllers and microcomputers, such as Arduino and Raspberry PI. They learn how to operate CNC milling machine, laser cutter and 3D printer. Web@cademie Women ambition is a two-year programme, with no admission fees supported by Microsoft in cooperation with ZUPdeCO. The Women Ambition class has a mandatory gender ratio of 80% of women and 20% men, the exact opposite of existing rate in IT sector. The aim is to tackle youth unemployment and the lack of women in the digital field. Microsoft employees are involved in this project through a mentoring programme which aims at coaching students to help them to find their first job. They meet on a regular basis and some employees take the initiative to organise CV or LinkedIn workshops for the whole class. Microsoft France gives the students the opportunity to connect with its business ecosystem of partners for job opportunities.